Cook the pasta according to package directions, rinse, drain and set aside. Heat the oil in a medium soup pot. Sauté the onions and garlic for 2 minutes. Add the celery and carrots. Sauté for 3 to 4 minutes. Add the basil, oregano, black pepper, sea salt and tomatoes. Mix, cover and bring to a boil. Reduce the flame and simmer for 15 to 20 minutes until the vegetables are tender. Puree 1/2 of the tomatoes and vegetables in a blender until smooth. Place the puree back in the soup pot. Puree remaining half and place in the pot. 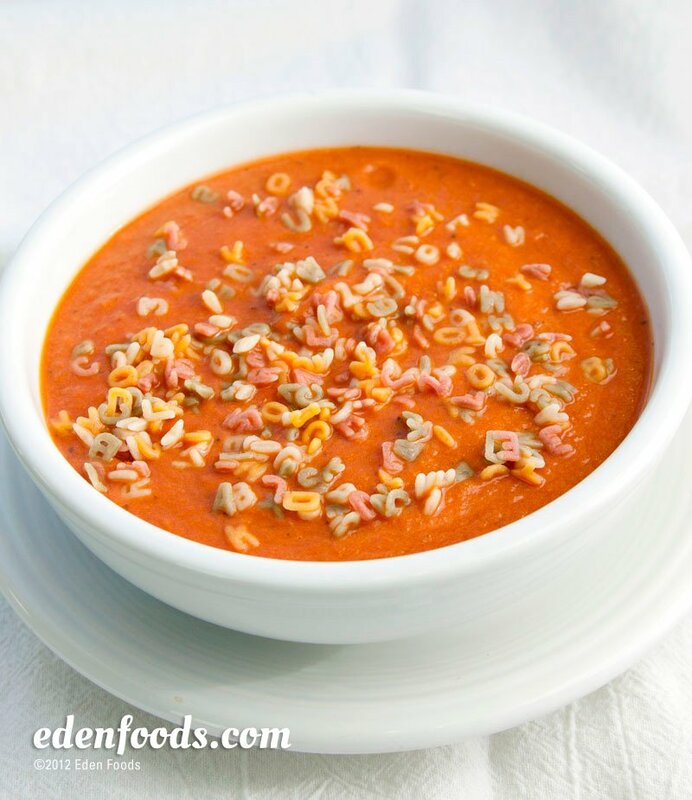 Mix in the Edensoy and cooked pasta. Bring almost to a boil. Do not boil. Reduce the flame to low and simmer 1 to 2 minutes until the pasta is warm and serve.